The Tracksuit Mafia Party marks the first installment of ‘Bushkoppies Nights’. This is a monthly event which aims to unearth a fresh new nightlife scene. We aim to collaborate with artists from a wide range of mediums to shine the light on the true purveyors of local urban youth culture. 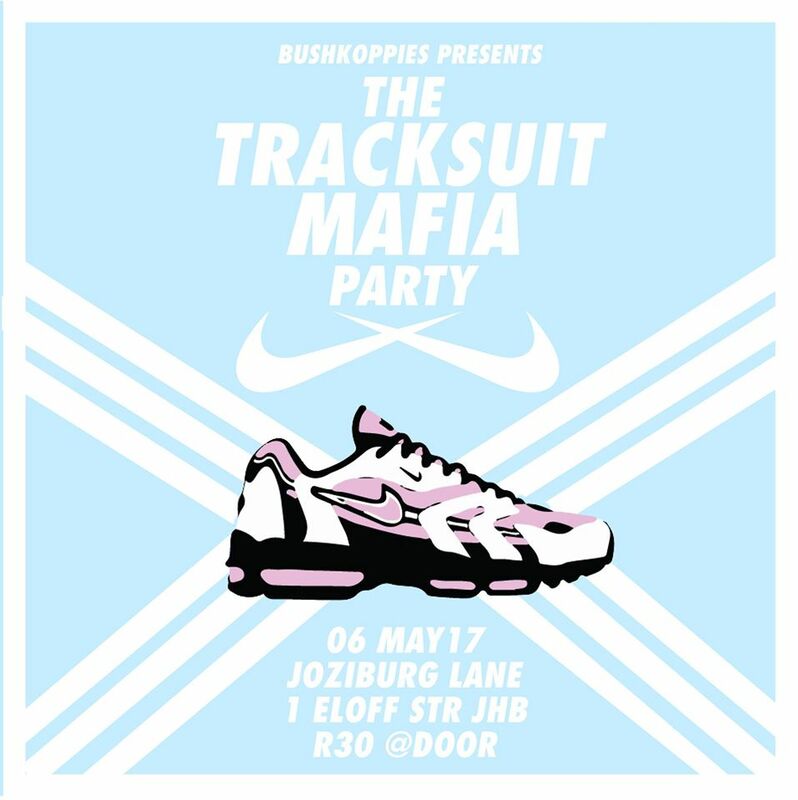 Come through to The Track Suit Mafia Party on 06/05/17 (19:00-00:00) to experience the first installment of Bushkoppies Nights. No tracksuit no entry! Jameson First Shot 2017: Entries Are Open!